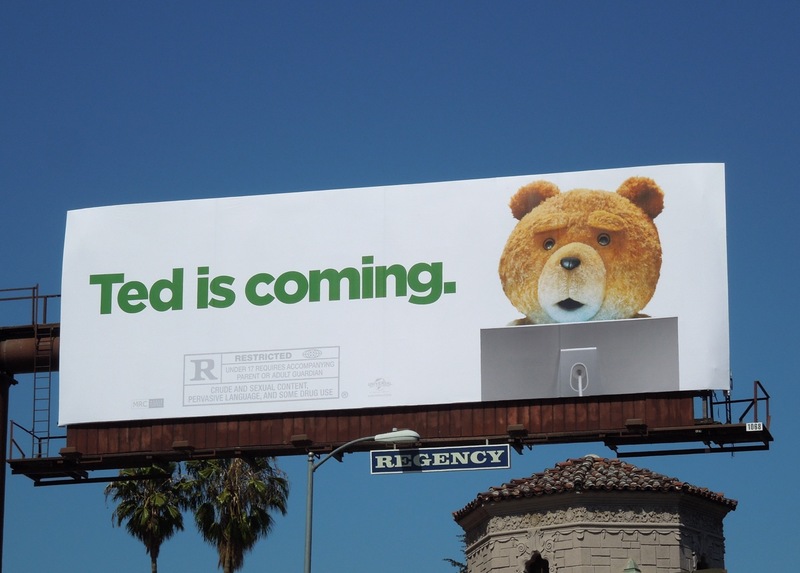 Unless you've seen a trailer or heard the premise of this R-rated movie you may not at first understand the double entendre of this teaser billboard. 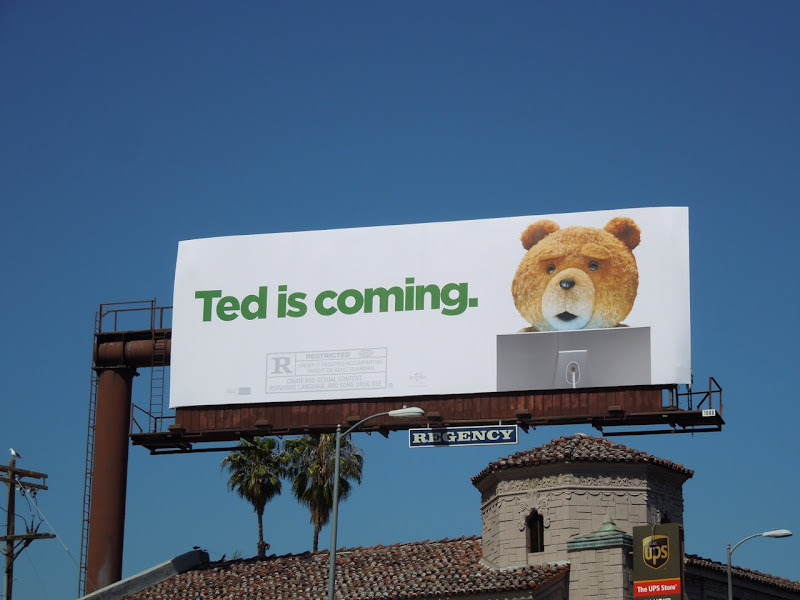 Once you realize that this raggedy old potty-mouthed teddy bear lives with a grown up Mark Wahlberg and has done ever since his childhood wish for his teddy to come to life came true, then you'll know exactly what he's doing in front of that computer screen. 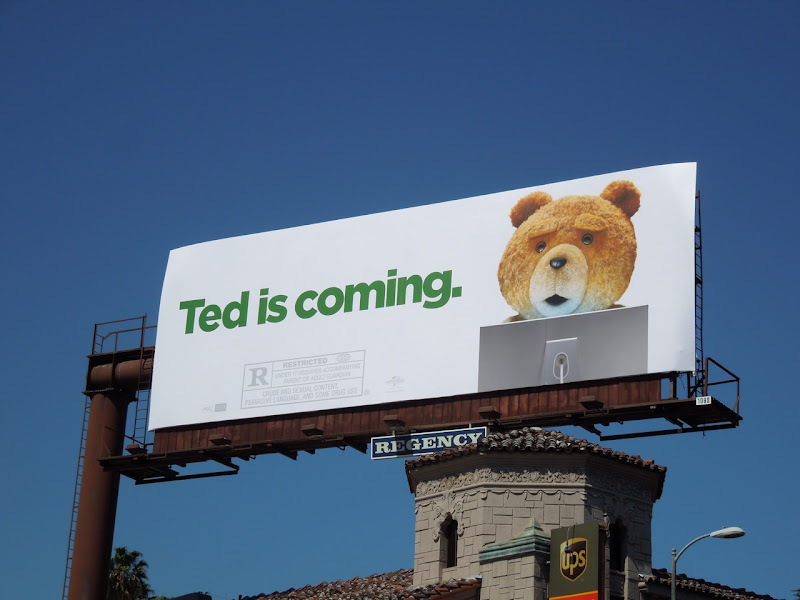 Directed and voiced by Family Guy's Seth MacFarlane, this computer-animated bear is certainly not one for kids, no matter how cute and innocent he may look. 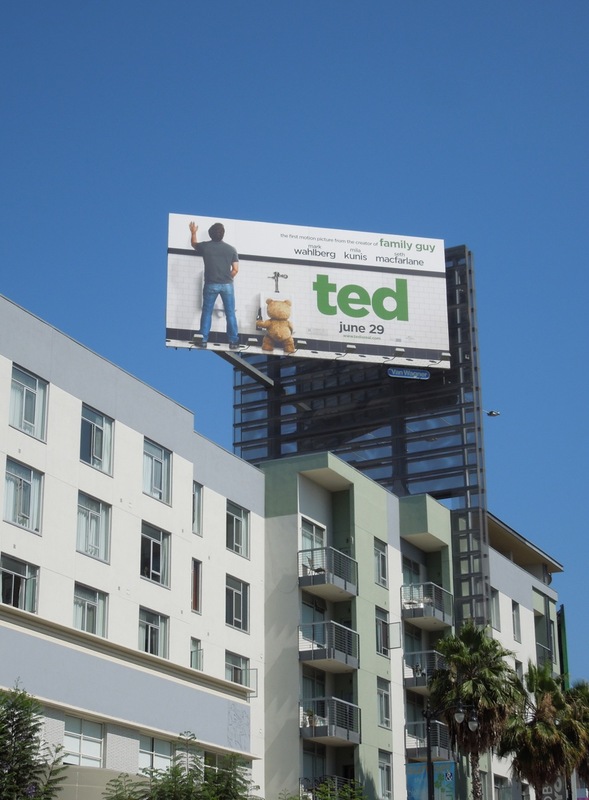 This innuendo-laden billboard was snapped along Sunset Boulevard at Crescent Heights Boulevard on May 29. 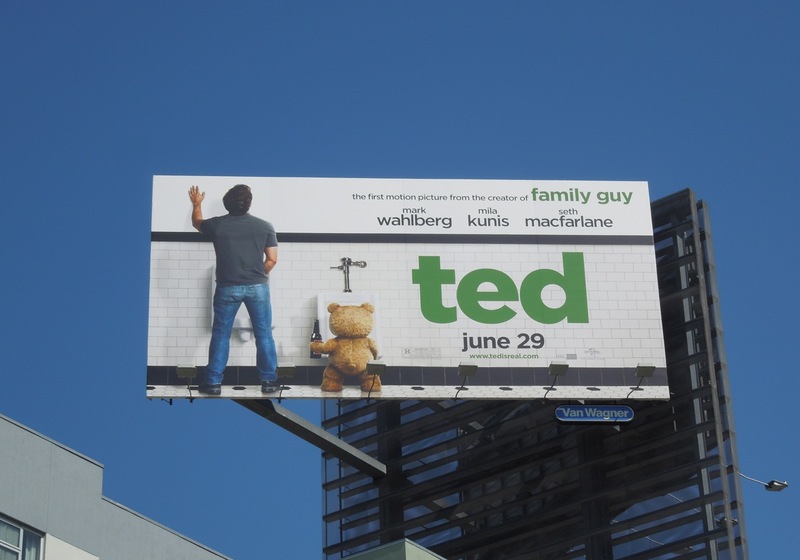 Another creative with the beer-swilling bear having a pee at a men's urinal with his buddy 'John', was snapped at Sunset & Vine on June 17, 2012. Remember, be careful what you wish for. 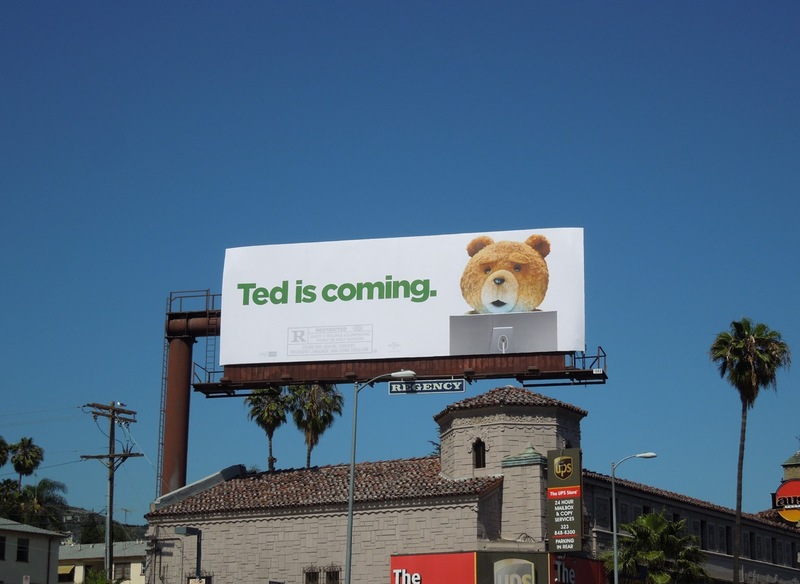 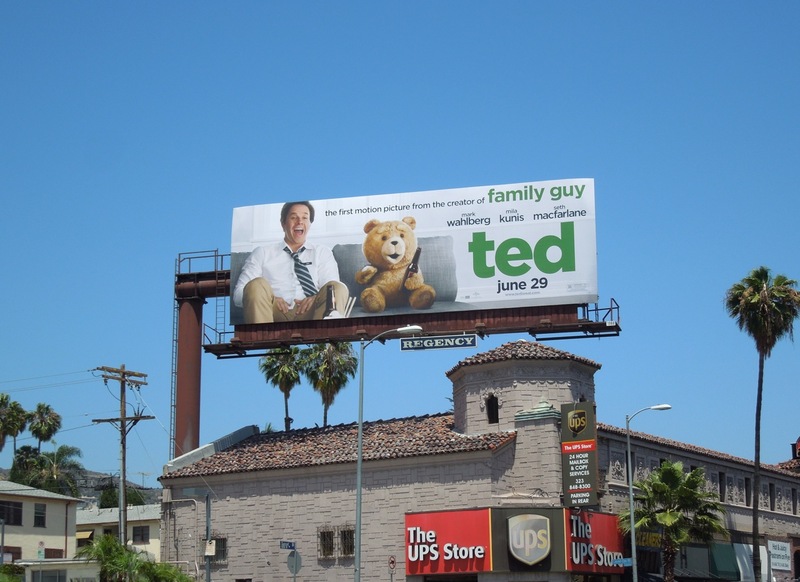 UPDATED: Here's another creative for Seth MacFarlane's new comedy installed along Sunset Boulevard on June 18, 2012 and replacing the 'Ted is Coming' teaser billboard. 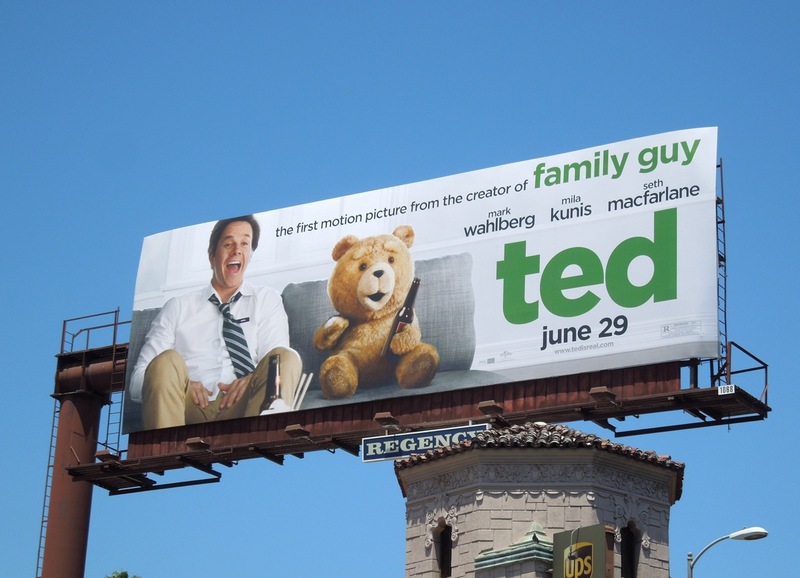 Let's hope the movie is half as fun as the good time Mark Wahlberg and Ted look like they're having with a couple of beers in this billboard.